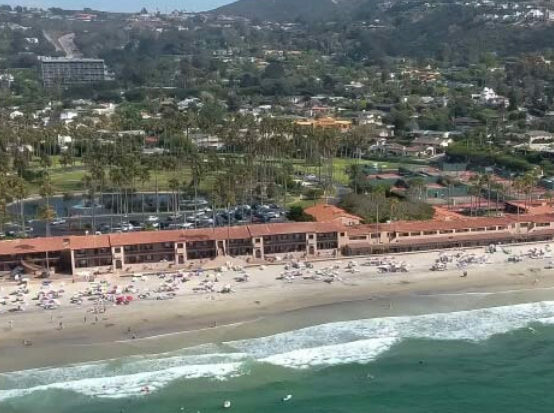 Again this year, our LJBA summer party will be a beach barbeque picnic at the La Jolla Beach and Tennis Club** on Friday, August 3, 2018, beginning at 4:30 p.m.
We will congregate at the far north end of the beach in front of the Club, in the section marked “W,” “X,” “Y,” or “Z.” Tables will be set up and our location will be marked with a table sign. LJBA will provide soft drinks, wine, beer, ice, hors d’oeuvres, side dishes and dessert for all; and tables, chairs, charcoal, barbeques, etc. YOU are requested to bring a main course for you and your guests and children–meat, fish or whatever entree you wish to barbeque; AND warm clothes for socializing after sunset and when the weather has a habit of turning chilly and/or damp at the beach. Attendance is limited to two adults per member (i.e.,the member and one significant other); children and grandchildren of the member; and guests invited by the member. Guests invited by the member should be persons, and the spouse or significant other of persons, who are eligible for membership in the La Jolla Bar Association. Your reservations and guest fees must be received no later than Friday, July 27, 2018. Please note that persons without reservations will not be admitted at the front gate. Please mark your calendars, and don’t miss this “must” event. We are all looking forward to a great day and evening with our fellow members–with fun, sun, sunset, scrumptious food and great company! ** Please call Virginia Gaburo at 858-577-0477 if you need directions or have any questions.